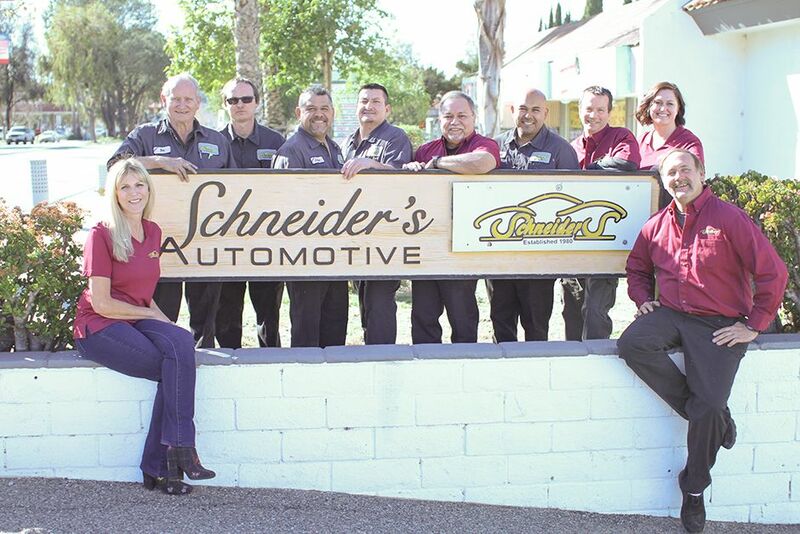 Schneider’s Automotive Repair is committed to earning our customer’s trust by delivering the highest level of quality repairs and Customer Service to the Simi Valley & surrounding communities. We strive to constantly improve and to conduct ourselves with honesty and integrity – to do the right thing – the first time – every time. Schneider’s Automotive Repair will always maintain our commitment to our Employees, to our Customers and to our Community, insuring Customer confidence and building trust in the quality of our service. 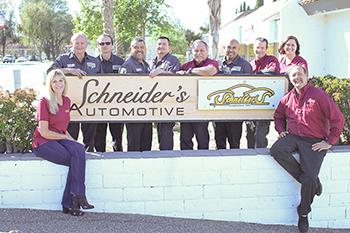 Schneider's Automotive Repair is a family-owned business that has been the premier choice in the Simi Valley area for top-quality auto repair and maintenance services for nearly 40 years. 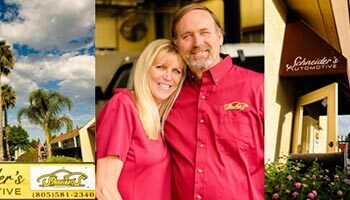 The owners Ken and Paula Fay are at the shop every day, working closely with the Service Manager Frank and the rest of our professional techs, who have been with us for many years. We have developed an extremely loyal customer base over the years with our central location between Simi Valley and Moorpark. While Frank and Joe check you and create a work order, we invite you to our comfortable waiting area where you can enjoy our various amenities including hot coffee, hot chocolate, tea, water, snacks, and free wifi. When you drop off your vehicle for service or repairs, we provide free shuttle service in the Simi Valley and Moorpark areas to get you home or to work. We also partner with a car rental company, so we can offer a special rental rate and make the necessary arrangements on behalf of our clients. We pride ourselves on our consistent quality and attention to detail combined with outstanding service. Our goal is to develop a long-term relationship with our customers and their vehicles so that we can provide the appropriate recommendations for maintenance based on our knowledge of each customer's vehicle. We aim to keep every vehicle we service on the road longer! Give us a call or stop by our convenient location in Simi Valley today! 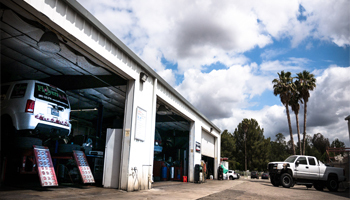 For 38 years, Schneider's Auto Repair has served Simi Valley by combining advanced automotive technology with stellar customer service. We offer numerous services to suit your truck or auto repair needs. We are a full-service shop with an experienced team of A.S.E. certified technicians that can perform auto repairs for domestic/import cars, trucks, vans, SUVs, and hybrids. For Schneider's Auto Repair, no question regarding our services is too big or too small. If you have any questions, please feel free to call the shop, send us a message or request an appointment. SKILL: Our team is tops! 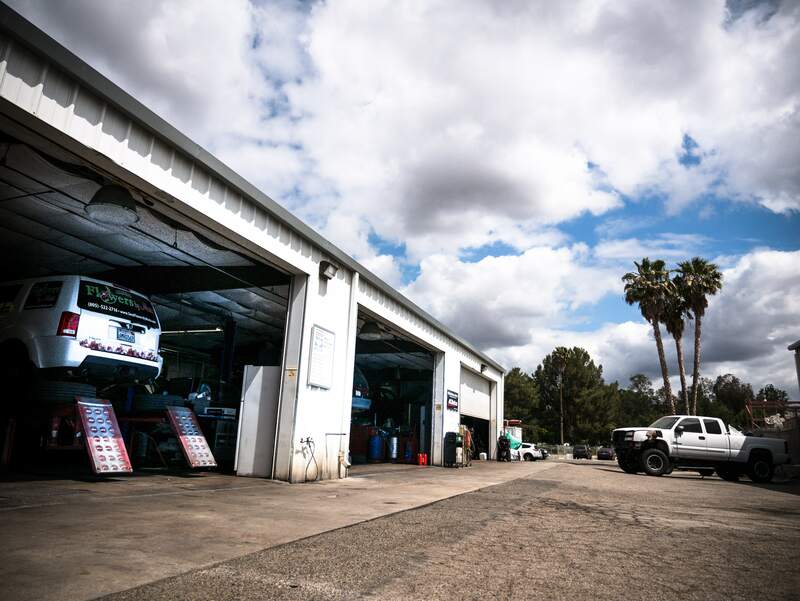 With our ASE-Certified Technicians and Service Consultants, your car or truck is in the best hands possible, whether your need is Engine Repair, Brake Repair, Transmission Repair, or Auto Electrical Service. TRUST: We represent integrity you can touch and feel with hundreds of 5-star reviews! 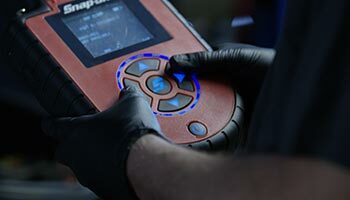 PASSION: We feel called to the Auto Repair profession. We care about you, your vehicle, and your safety as if you were a member of our family. No matter what your vehicle needs, the Schneider's auto repair shop team is here to please. Give us a call or stop by and introduce yourself. We'd love to meet you! If you’re within a 25-mile radius of your local repair facility, please contact your repair shop directly to ensure your services are handled the way you want them. 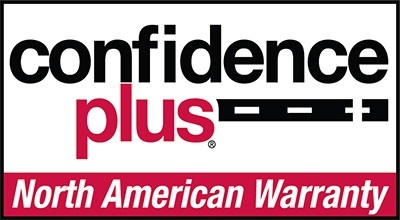 If you are outside of the 25-mile radius and require service assistance, please contact the Confidence Plus® North American Warranty Administrator where you will be referred to a participating service center. You will also be eligible for free towing and a car rental as your vehicle is repaired. Please contact us at 805-581-2340 for any questions.